To play this D suspended-2nd chord, fret the D major chord. Lift your middle finger to make the High E string open. 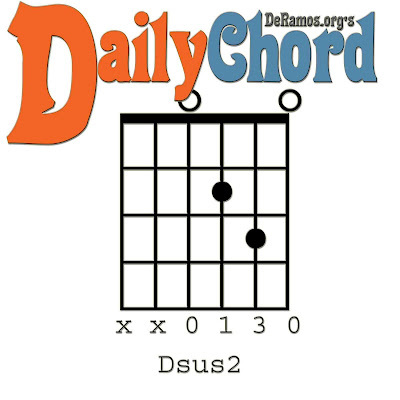 Play the Dsus2 chord. To play this Dsus2 chord, fret the D minor chord. Lift your index finger to make the High E string open. 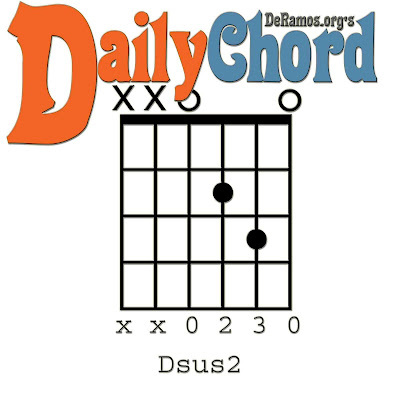 Play the Dsus2 chord.